Leave it to a celebrity as mysterious as rapper Kanye West to get us all drummed up about his new album, The Life Of Pablo , only to alienate us with a controversial tweet two days before its release. 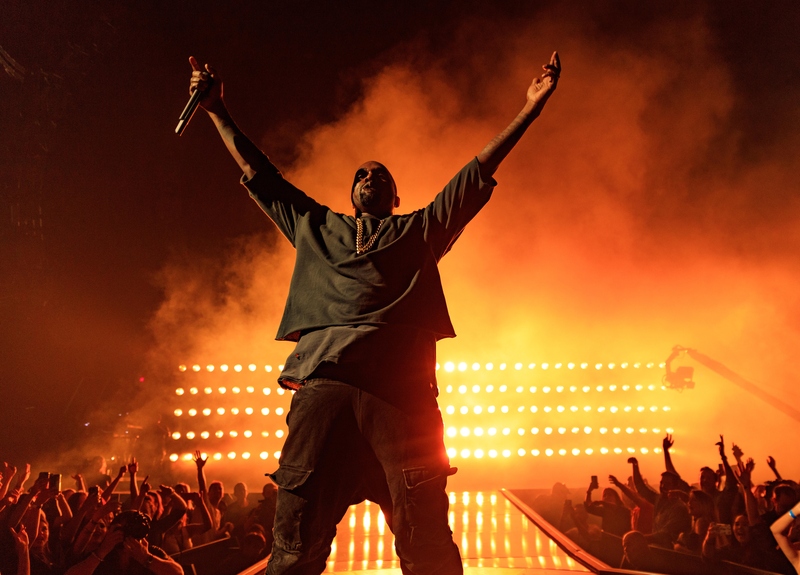 But, rather than simply dropping the album on iTunes at midnight, Yeezy kept his eager fans waiting, choosing instead to debut the full album during a live-stream of his concert in Madison Square Garden on TIDAL. But those who aren't subscribed to that music streaming service probably want to know… When will Kanye's The Life Of Pablo be on Spotify? Update: As of 1:43 AM ET on Feb. 14, The Life of Pablo appears to be streaming on TIDAL. Those wishing to download the album can purchase it from TIDAL for $20 dollars. The album is, so far, unavailable on iTunes and Spotify. On Monday evening, Kanye tweeted that The Life Of Pablo will only be available on Tidal. He wrote: "My album will never never never be on Apple. And it will never be for sale... You can only get it on Tidal." If the album isn't available on Spotify, Kanye will be far from the first artist to not upload his music to the streaming service. Coldplay, Taylor Swift, and Adele all kept their most recent albums off of Spotify — and it hasn't exactly hurt them, considering Adele's 25 broke pretty much every record known to man. For Coldplay at least, A Head Full Of Dreams won't be available "immediately" on Spotify, which means that it may be available eventually. Similarly, just because Kanye doesn't upload Pablo to Spotify right away doesn't mean you should all quiver in despair. I'm sure future-President West will make sure you get to stream The Life Of Pablo to your heart's content eventually.